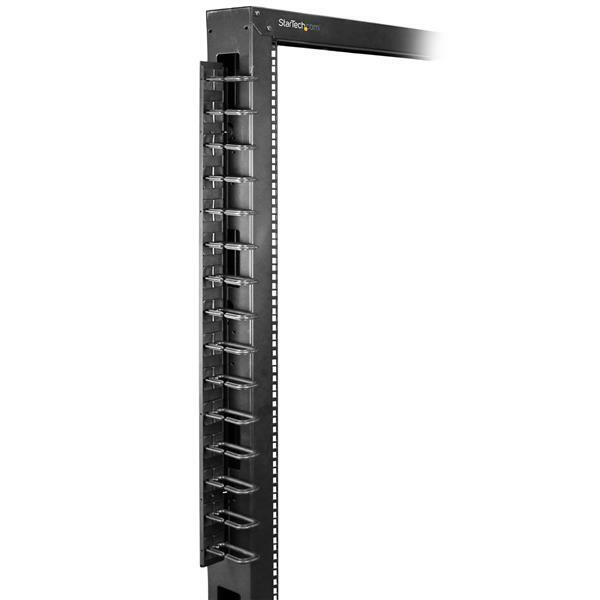 This 6-foot vertical cable manager (2 x 3-foot panels) gives you a simple and space-efficient way to organize the cables in your server rack. 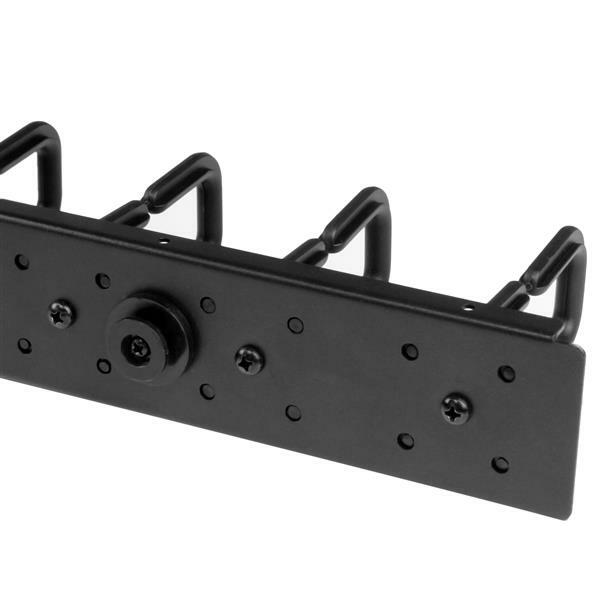 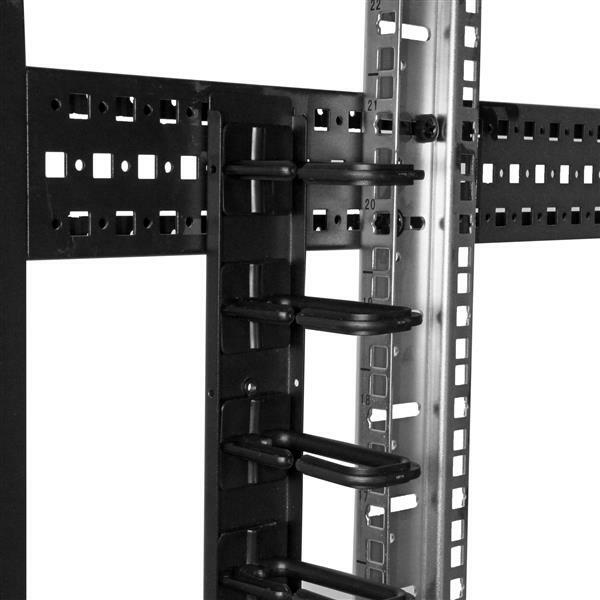 You can attach the two-panel cable manager vertically into your rack, to neatly guide cables between equipment that’s mounted at different heights. 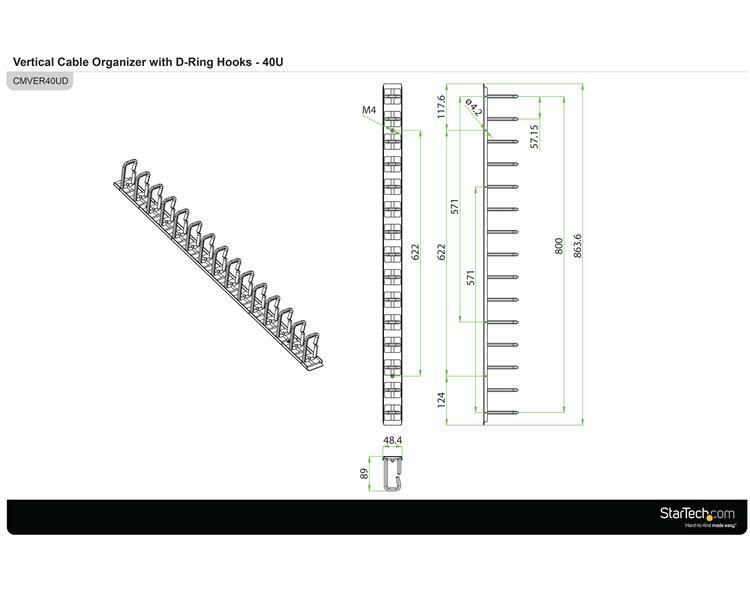 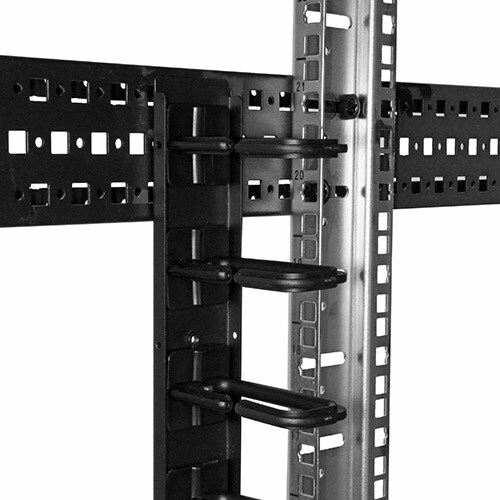 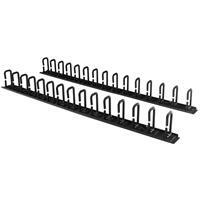 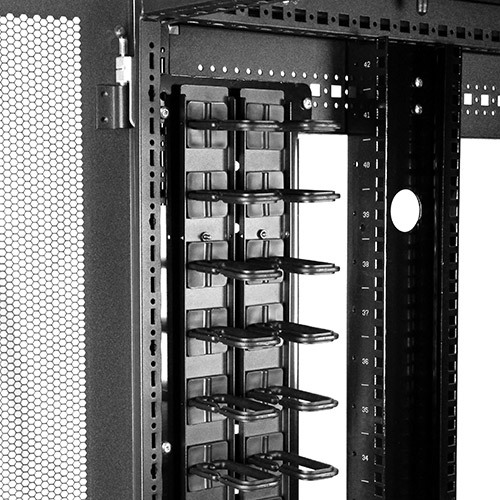 The 0U cable manager offers versatile installation options and is compatible with most racks that are 40U or larger. 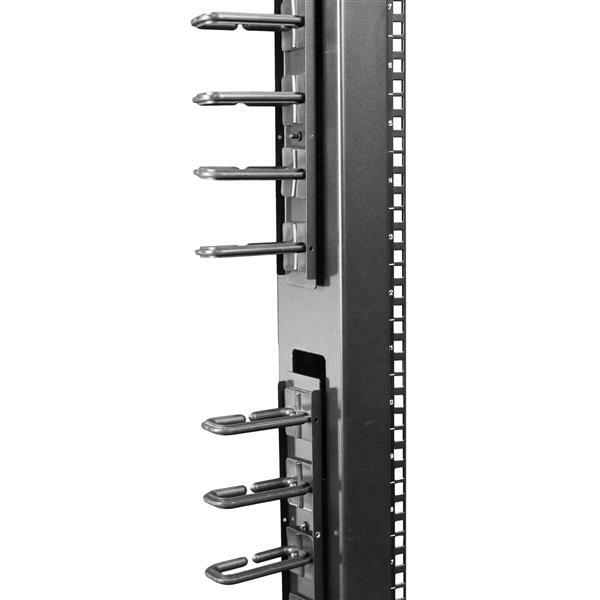 The panels feature a 0U design that doesn’t take up any mounting space, and with simple tool-less installation they’re easy to attach or reposition as necessary. 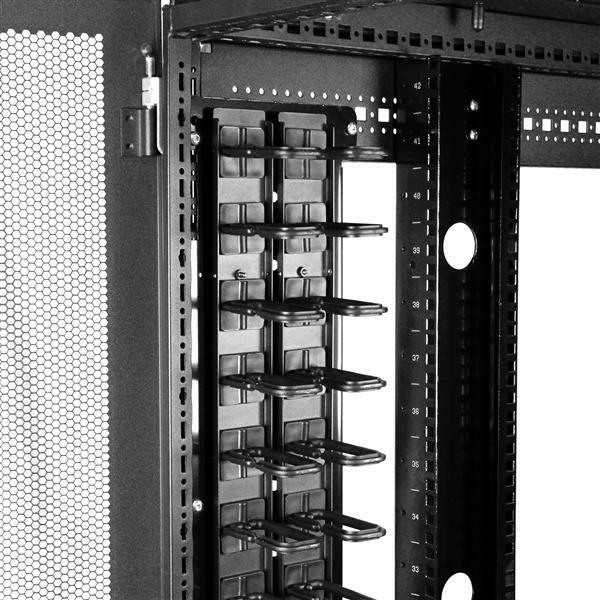 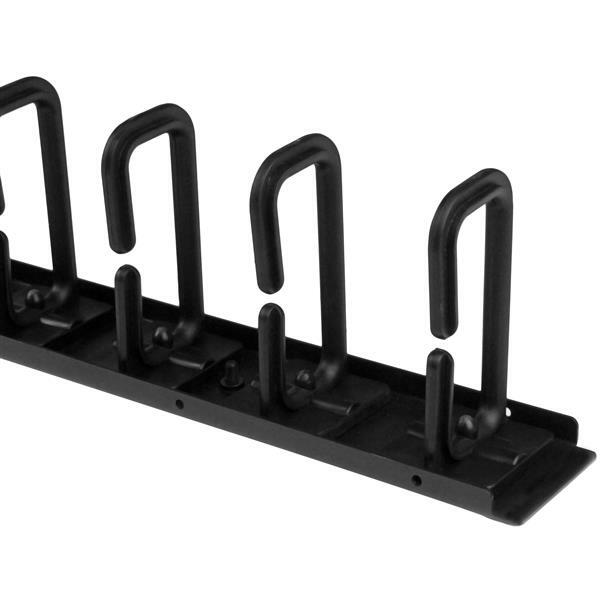 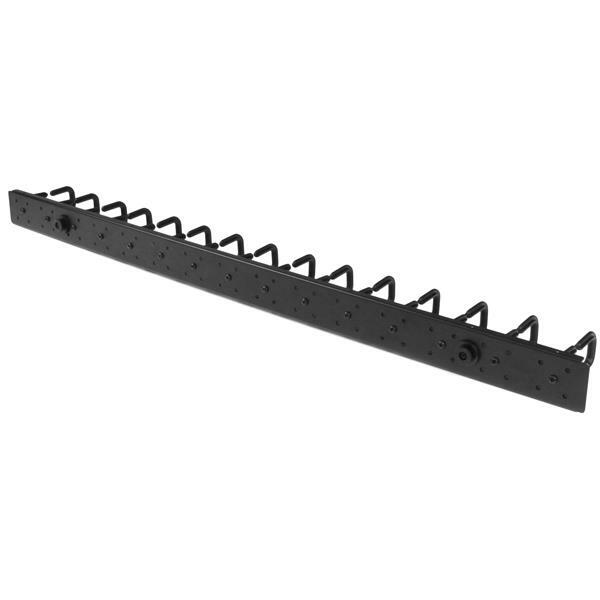 The two-piece cable manager runs vertically along the side of your rack, to neatly guide cables between equipment that’s mounted at different heights. 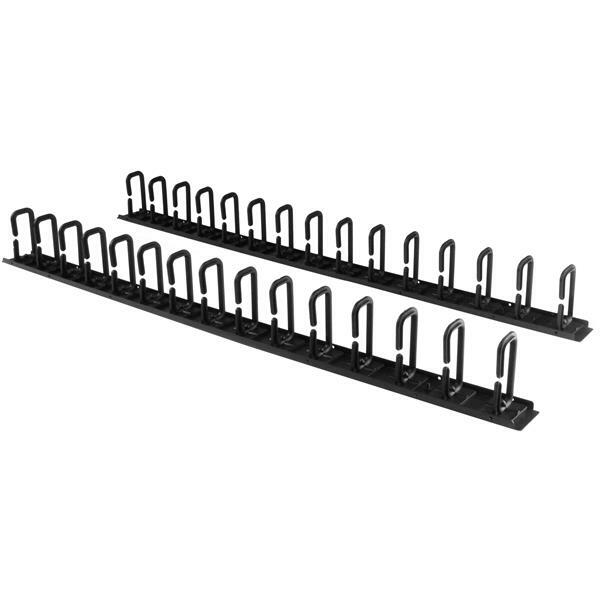 This provides a tidy and well-organized way to run cables from devices mounted toward the bottom of your rack to other devices mounted near the top, without leaving a mess of cables hanging in between. 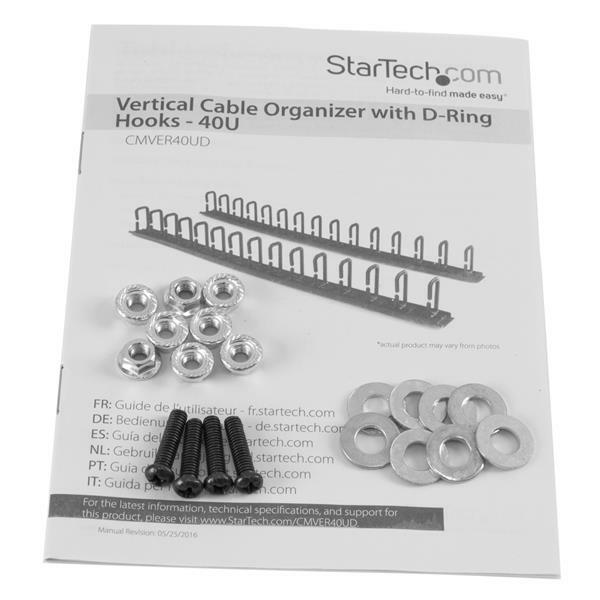 The CMVER40UD is backed by a StarTech.com 2-year warranty and free lifetime technical support.